Meet GrapeCity's ActiveReports and Spread team members at the Microsoft-DevConnections Visual Studio 2010 Launch Conference and Expo to be held in Las Vegas from April 12 - 14. 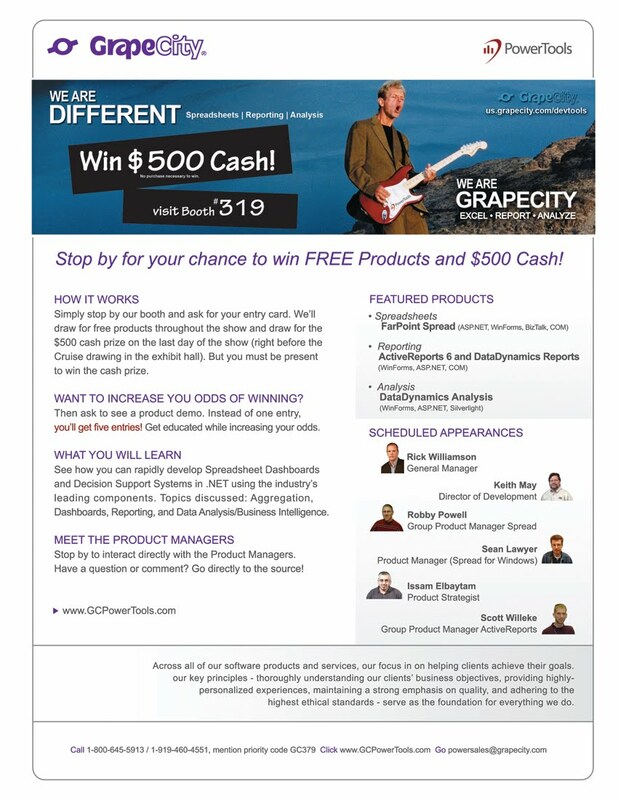 GrapeCity is a Silver Sponsor and Exhibitor at the event. 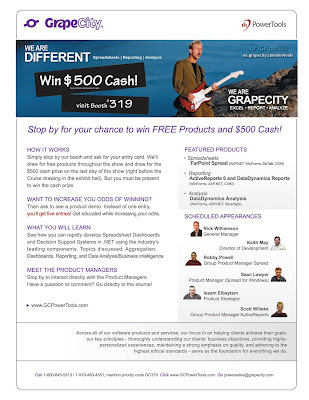 Visit us at Booth# 319, Win FREE PRODUCTS and enter to win $500 CASH! Come to our booth and get an entry card and you get one chance to enter the $500 cash giveaway on the final day. If you ask to see a product demo, you get five cards to increase your odds of winning! You must be present in the booth during the prize drawing to win the cash prize. Want to meet up and discuss something? Just walk up or set up an appointment.